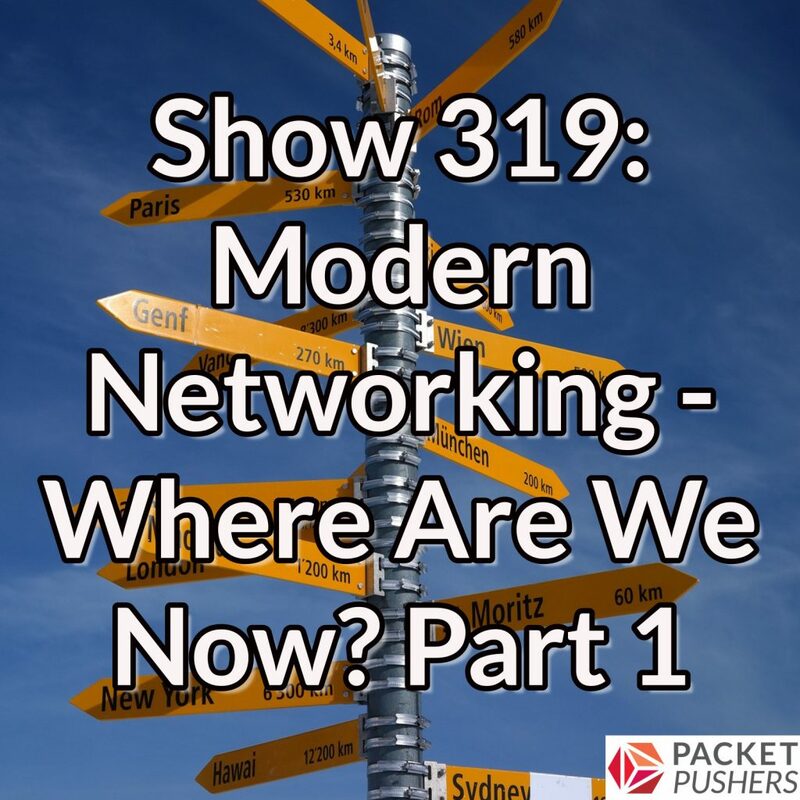 Today’s Weekly Show is part one of a two-part series on modern networking. 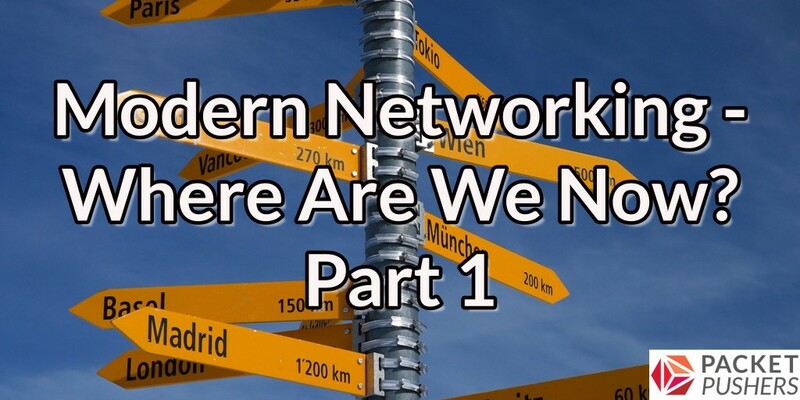 We’ve invited a few guests from the Packet Pushers community to explore what’s happening in production networks today. Our guests are John Anderson, a network security engineer; Ryan Harden, a network architect, and Tim Raphael, a network engineer and consultant. We’ll talk about innovative ideas in campus networks, discuss the appeal (or lack thereof for white box devices), and drill into monitoring and analysis. Micronics Training is the real deal! The company offers courses and bootcamps, including CCIE Routing & Switching, Security, Data Center, and Service Provider, as well as other courses including CCNA, CCNP, DCICN, CCDE, and more. To learn from the best, head over to micronicstraining.com. Micronics is an authorized Cisco Learning Partner, and they accept Cisco Learning Credits. When you sign up, let them know that Packet Pushers sent you. Don’t back haul all your wifi traffic back to controllers. Aerohive, Meraki, mojo, and Aruba can all drop off traffic locally for l3 termination. Some have cloud controllers, some have on site without tunneling traffic. Different levels of visibility and other features. Aiming for large arp tables is expensive. Agree. Stop thinking you need big iron. Cisco does local break-out too with H-REAP which is old technology. Yes, you want central management and probably authentication/authorization. Depending on your security requirements you might need to come up with a distributed firewall solution.